Class Charts allows you to create powerful behaviour reports that can track how behaviour is being recorded across the school. To start creating your own behaviour reports, click on the Analytics tab at the top of the page. You will appear on the Analytics home page. Select the Behaviour option from the menu on the left hand side. First, select the date range that the report will cover by clicking on the Date range field. A date picker will appear that allows you to select from preset date ranges or a custom range of your choice. Click on the Apply button once you have decided. 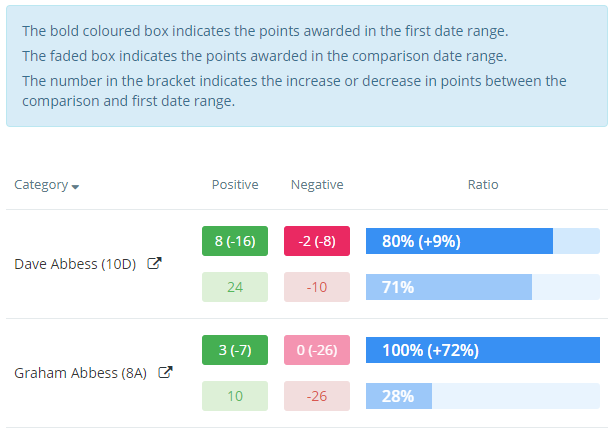 In addition to creating a behaviour report for a specific date range, you can also compare the behaviour activity to behaviour activity in a second date range. Tick the Compare to another period check box and specify a comparison range. To generate a report, a primary breakdown must be specified so that the results can be broken down in to specific categories. Select a breakdown option from the drop down menu. Once a primary breakdown has been selected, an optional secondary breakdown can be used to further categorise the results of the report. Behaviour only: Select this radio button to restrict the report to tracking behaviour awards. Events only: Select this radio button to restrict the report to tracking intelligence events. Behaviour and events: Select this radio button to include both behaviour awards and intelligence events in the report. If the behaviour report is to general for your needs, you can apply various filters that refine the results. To apply a filter, tick a filter option checkbox and select the subcategories of your choice. To include archived pupils in the report, tick the Include archived pupils checkbox. By default, behaviour reports will display the number of behaviour points for each breakdown category. If Analyse number of incidents instead of points is ticked, the report will display the amount of times a behaviour was awarded instead. You can then generate your report by clicking the Generate report button, or export the report to an Excel spreadsheet by clicking the Export to excel button. A generated report will be displayed underneath the report options and buttons. 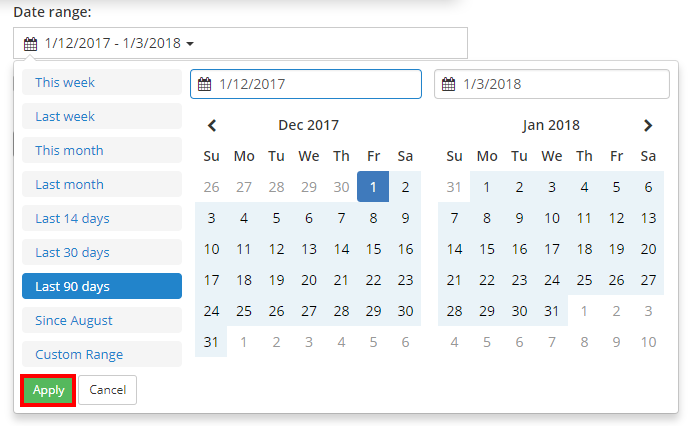 If the report is being compared to a second date range, the comparison date range will appear as faded rows underneath the first date range. If the amount of incidents is being tracked instead of the amount of behaviour points, each entry in the report's results will display how many times a behaviour was awarded. Once a report has been generated, you may wish to see a specific result in the report in more detail. To do this, click on the detailed report icon next to a entry in the report. This will open up a detailed version of an entry, allowing you to interpret the data more closely. If you find that you are constantly reapplying and running the same reports on a regular basis, you can save the report criteria for easier future use. To do this, set up the report critera to your desired preferences and click on the Save for later button in the bottom right hand corner of the page. A popup will appear prompting you to name the report. Enter a name and click on the OK button to save the report. Saved reports will appear along the top of the page. Clicking on a saved report will reapply the report's breakdown and filter options, which can then be tweaked further.